This article is from the Covington Journal of July 19, 1862 and is similar in subject to my previous post. General Mitchel was a multi-talented individual, almost like a 19th century Renaissance Man. See this link for some information about his various careers, including lawyer, astronomer and soldier. I have not been able to find what the specific charges were against Mitchel, but the story makes it seem it involved the behavior of the men under his command. "One of Gen. Mitchell's brigades is commanded by Col. Turchin, of Illinois. Turchin is an old European soldier, a Prussian by birth, an accomplished soldier but loose in his morals. His own regiment, the 19th Illinois, forms part of his brigade." "Since it has been in the service, the 19th Illinois has continually disgraced itself by committing depredations on citizens and especially upon Secessionists. At Bowling Green, their conduct was so outrageous, that Gen. Mitchell was compelled to interfere, and did so effectively. The regiment behaved themselves thereafter. 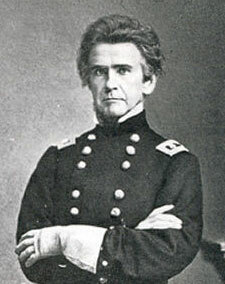 After Gen. Mitchell's arrival in Alabama, he dispatched Turchin, with his brigade, to Athens. The troops were constantly subjected to assassination by the citizens of that town. Almost every hour, soldiers were murdered in cold blood, by assassins who could not be discovered. Turchin became enraged, and one day let his men loose upon the town. As the story goes, he agreed to 'shut his eyes' for two hours. "The revenge of the men was fearful, no one being spared in the excesses which followed, and there is no doubt that crimes of a very grave character were perpetrated by the soldiery, especially by the 19th Illinois. At the end of the two hours, Turchin 'opened his eyes' and the excesses ceased." Colonel Turchin was court-martialed for his actions. Here is a period article about the trial. 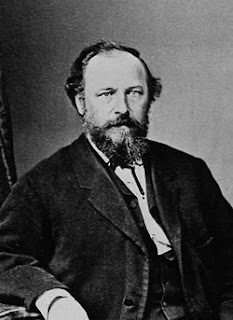 Note that Colonel Marcellus Mundy, mentioned in my previous entry, was among the members of the court, along with future president James A. Garfield. According to this additional link, the court convicted Turchin and cashiered him from the service, but the fortunate office received a break thanks to the kindness of President Lincoln. He remained in the service and even was promoted to Brigadier General. He resigned his position in late 1864 when poor health led him to resign.